We haven’t gotten near as much snow this year as we did last year, but that doesn’t mean we haven’t gotten any. On March 1st we got a little bit of snow, and I took the opportunity to take some photos of the dogs and the ponies playing in the snow. And this last shot is my very favorite shot of the day, Minnow’s super sweet eye. He’s just so special. The snow is beautiful, but hopefully spring is just around the corner, because we can’t wait to get out and ride more! P.S. want to see more photos of the dogs in the snow, be sure to head on over to Ammo’s Blog! Last year right before the Extreme Cowboy Race I taught Boomerang to smile. Quickly this trick has jumped to the top of the list as one of his all-time favorites. I have a hand signal cue and a verbal cue for this trick, but most days Boomer just likes to smile for the sake of smiling. Most times if he just sees me break out the camera he gives me a big beaming smile. Other times I call his name and he’ll flash me a toothy grin – always followed by the cutest nickering to let me know he heard me. I love how each smile is different and quirky, just like my silly little Boomerang. Today I got a surprise package in the mail from Picthall and Gunzi, a UK based children’s book publishing company. 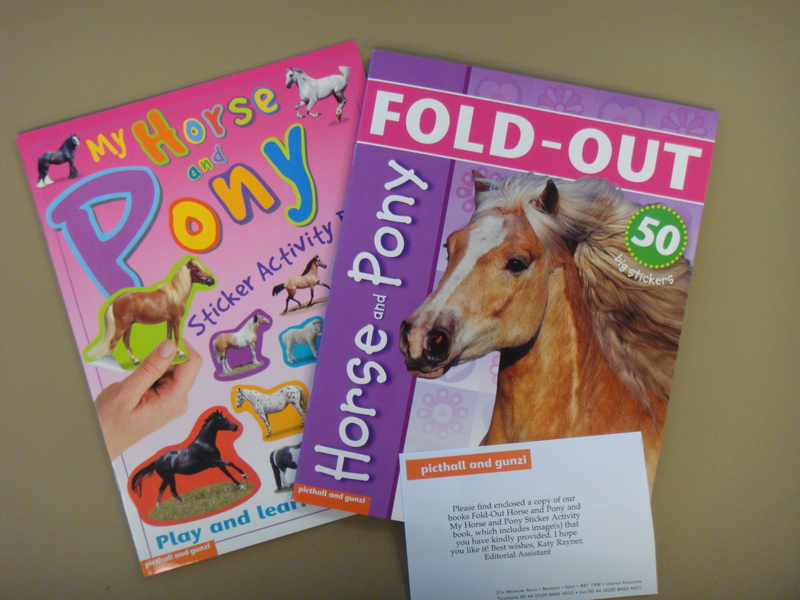 Inside were two children’s sticker books that featured ponies. It took me a few minutes to realize why I had been sent these, but then I remembered! 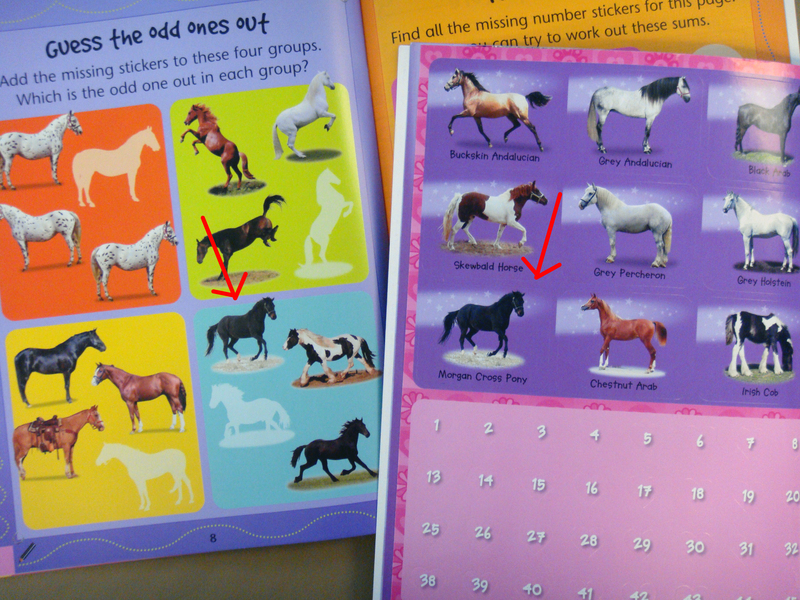 Inside were two stickers that features my sister’s morgan cross mare, Jet. The stickers were created from a photograph I had taken of her galloping in an open field a couple of years ago. It may be a small publication – but it’s still something to smile about….finally putting my photography degree to some use! As of late my photography has taken more of a back burner to running my custom framing shop and managing the art careers of a couple of painting ponies. Someday I’ll get back into photographing more, I’m toiling with the idea of a few picture books…so we shall see! You can purchase these sticker books here and here!